Thomas J. Mihill offers his clients dedicated, results-driven representation in business and commercial law and numerous other legal practice areas. Mr. Mihill works diligently to earn and reward each client's trust through a practice built on wide-ranging legal knowledge, honesty, transparency and professionalism. Business leaders, individuals and families throughout Georgia rely on Mr. Mihill for informed, practical guidance when they face pivotal legal concerns. Recognizing that legal counsel is a problem-solving necessity rather than a service people want to seek out, he is generous with his time and intensely committed to protecting each client's personal and financial interests. 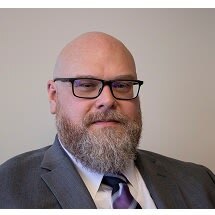 Mr. Mihill has more than a decade of legal experience in business and commercial law, entity selection, partnership and contract disputes, intellectual property, employment litigation and much more. While Mr. Mihill can serve all business and commercial sectors, construction law, entertainment law and trademark protection are some areas of clear strength. His skills in negotiations, mediation and litigation also extend to Georgia probate and estate matters. Mr. Mihill is active in many prominent legal associations, business groups and community initiatives. Most importantly, he thrives on the appreciation of diverse clients who turn to us for help in challenging times. Please call or email anytime to discuss your needs. Although we know you do your best to avoid it, litigation is unfortunately a part of doing business. Some of the most valuable assets of a business may be its intellectual property. For some online companies, as well as artists and entertainers, most or all of their value may be IP. Properly protecting these important assets is critical to success. Cannon, Mihill & Winkles represents and counsels artists, authors, musicians, and models, with all their legal needs, from contract formation to royalty disputes.